Russian carrier Saratov Airlines has taken on lease another Antonov An-148 regional airliner, which will be the sixth of the type in the operator’s fleet. The aircraft has already been ferried to the airline’s home base at Saratov. Like the previous five An-148s, the new arrival (RA-61702) is being subleased from Rossiya Airlines. Saratov Airlines is the only certified Antonov An-148-100V operator in Russia. It is legal under law to use parts of the aircraft until its service entry in order to maintain the rest of the fleet’s airworthiness; indeed, this strategy is quite common for the industry, the operator points out. The airline says it is too soon to tell where the newly delivered aircraft will be based eventually. A decision will not be made until the beginning of 2018. The carrier’s route network stretches from Kaliningrad in the west of the country to Vladivostok and Khabarovsk in the east. Saratov Airlines originally planned to lease four An-148s to replace its aging Yakovlev Yak-42Ds. Later on the carrier introduced a fifth of the type. All its six Antonovs are being leased for a period of five years. The fleet expansion measures helped the carrier rise one step to 19th position in the ranking of Russia’s largest airlines by passenger traffic. In actual figures its traffic grew by 64.9%, reaching the current 313,100 passengers. 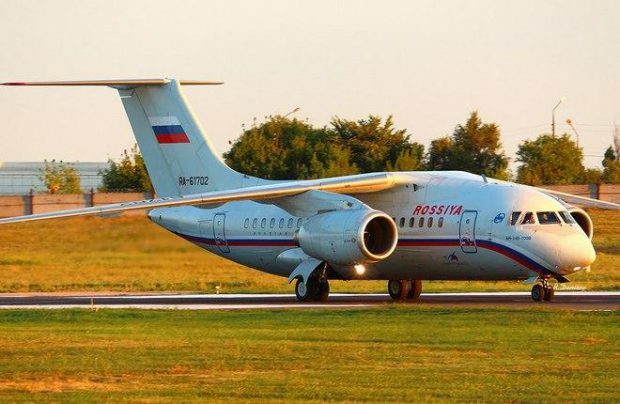 Rossiya Airlines, an Aeroflot Group subsidiary, leased six An-148s from Ilyushin Finance Co. The carrier stopped flying the type in 2015, citing the aircraft’ inefficiency.